Two power play goals from Sara Benz - and a fifth of the Games for Alina Muller - lifted Switzerland to victory over Japan in its second game in Korea. 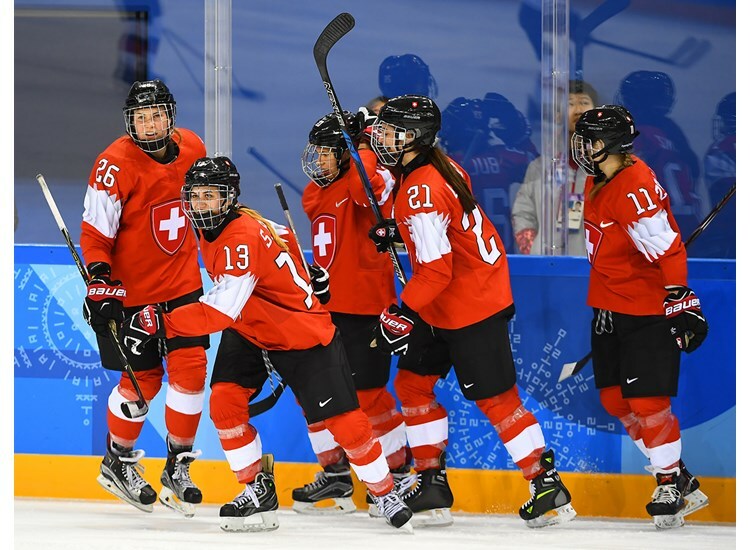 Sara Benz led the way for Switzerland with two goals in a 3-1 victory over Japan, and the 2014 bronze medallist is now all but certain to progress to the quarter-finals. It was a special moment for Benz, a 25-year-old forward with Zurich Lions: she missed the last two seasons with concussion problems, and has only returned to Swiss league action this term. Twenty points in 14 games got her back into the international set-up in time for the Olympics, and after three assists against Korea she relished her decisive double blast in this game. But the Swiss had to hold off a lively Japanese team that had the better of the first period and could have pulled off a surprise victory with greater composure in front of Florence Schelling's net. After a narrow loss to Sweden in Saturday’s opening game, Japan knew that three points would be vital if it wasn’t to rely on an improbable sequence of results to sneak into the last eight. 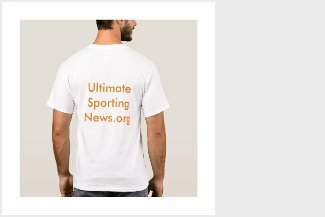 For a team that had never won a game at an Olympic tournament, that was already a tall order; making matters worse, Rui Ukita, scorer of Japan’s only goal against Sweden, served a one-game ban. At the start, though, Japan was dominant. Switzerland, so devastating on offence two days earlier, struggled to generate opportunities and Nana Fujimoto was a virtual spectator as she faced just one shot in the opening frame. Japan, ever mobile, caused problems at the other end; swift skating and pacey puck movement had the Swiss defence chasing shadows at times, but the Asian team lacked the finishing to match its approach play. "We didn't get the start we wanted," said Akane Hosoyamada. "I know we only gave them one shot and we got seven, but we didn't get any rebounds, we didn't get any screens or tips. We weren't as agressive as we needed to be." The Japanese had a golden chance to open the scoring midway through the opening frame with 97 seconds of 5-on-3 power play. But Switzerland survived, helped by Shoko Ono’s failure to connect with Hanuna Yoneyama’s feed from the doorstep and Schelling’s anticipation when Hanae Kubo tried taking her time to psyche out the goalie, only for the shot to bounce to safety off the upper arm. "Oh my God!" Schelling exclaimed. "I think that was the game-changer. That was the key. The game would have looked a lot different if they had got on the scoreboard first." Kubo, whose pace, direct play was a persistent threat, had another great chance when the teams were back to equal strength. Some great stick-handling saw her dance through the Swiss defence, with Phoebe Staenz left trailing in her wake. This time, though, the shot looped over the bar without testing the Swiss goalie. Schelling had to be on her mettle as the first session came to a close, with a smart reaction save late on to ensure that she completed her fourth period of the competition without allowing a goal. "We were kind of overwhelmed in that first period by how fast they were, how strong they were," Schelling added. "But then in the second period we were able to score and bring our momentum to the game." If Japan had grounds for optimism at the first intermission, there was also cause for concern. A penalty late in the first period ensured the Swiss would be begin the next frame on the power play, and that was enough to tip the momentum away from Takeshi Yamanaka’s team. Dominique Roegg tested Fujimoto early on and the Swiss attack awakened at last. Japan fashioned one more neat chance when Haruka Toko’s no-look pass found Ami Nakamura, but her attempt to spin and release a backhand shot failed to test Schelling. Switzerland punished that miss almost immediately when Sara Benz got the first of two power play goals. Ruegg’s wild shot came back off the boards, and Benz was first to react as she squeezed wrister onto the top shelf from an acute angle with Fujimoto left stranded. Another penalty soon followed, and Christine Meier showed great vision to set Benz behind the Japanese defence with a superb pass; Benz delivered an emphatic finish, and Japan’s goal-shy roster was always likely to struggle from that point on. Switzerland added a third goal early in the final session when Alina Muller – the leading scorer in the women’s tournament so far after a six-point haul against Korea – intercepted a loose pass in her own zone and raced up the ice before firing past Fujimoto from the right-hand face-off spot. But Japan finally got the goal its efforts deserved with 12 minutes to play when the hard-working Kubo became the first player to score on Schelling at this year's Games. Kubo's touch looped Mika Hori's shot beyond the reach of the Swiss goalie, denying her the outright record for shut-outs in Olympic play. Schelling is currently tied with Canada's three-time gold medallist Kim St-Pierre on four shut-outs apiece. Switzerland's win means that the Group B picture could be almost wrapped up after tonight's game between Sweden and Korea. A Swedish victory would ensure that the two European nations will progress to quarter-final match-ups against the teams finishing third and fourth in Group A, while the Asian countries will go directly to the classification round.